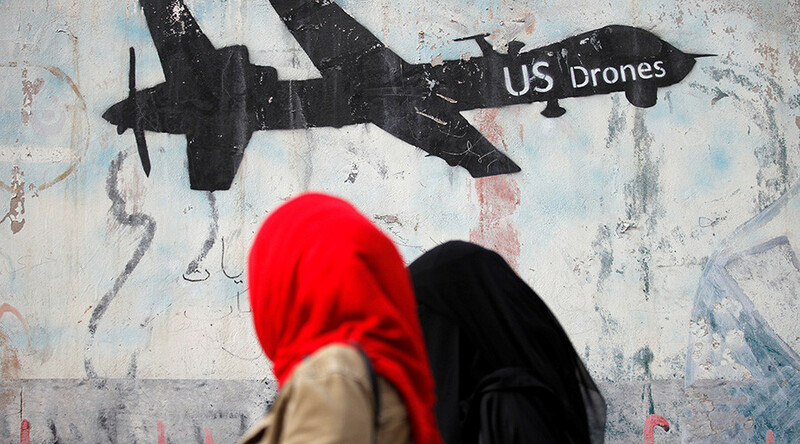 The US has portrayed itself as having the most sophisticated drone program in the world. Yet it seems unable to detect when children, women and civilians are in an area where it wants to bomb, Tighe Barry, anti-war activist with Code Pink, told RT. 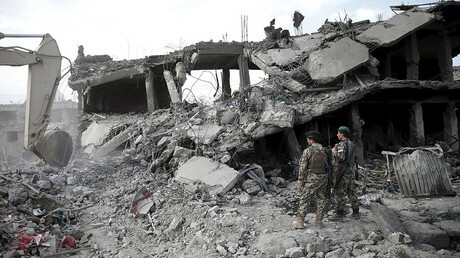 The US military has reportedly caused civilian casualties in an airstrike carried out on Thursday in the Sangin District of Helmand province in southern Afghanistan, according to Afghan media. Media sources reported up to 20 people were killed in the strike. The UN mission for Afghanistan tweeted that it will look into the reports. This is not the first time US airstrikes have hit the wrong target, causing massive collateral damage. Just this month, the Pentagon confirmed that almost 200 civilians had been killed since the start of its anti-terrorist campaign in Syria and Iraq. NATO confirmed to RT that it carried out airstrikes in that area though denied that any civilian casualties had occurred. RT: If there were civilian casualties, will the US admit it? Tighe Barry: I very much doubt it. The US has been very diligent in not portraying the deaths of civilians. The things that happen to the civilians in all these drone strikes as well as, for example, the mishap that took place where the US military invaded on the ground in Yemen last week and killed up to 40 civilians. The US will never take responsibility for its actions in any war zone at all and they claim that it is their right. And we all that under international law this is not the right of the US or any other country to take civilian lives when you don’t need to. RT: Assuming there were civilian casualties, will anyone be held to account? TB: It is up to the world community, it has always been up to the world community. The US has been involved in several invasions of foreign countries not at the request of those foreign countries. Afghanistan didn’t invite us in. And neither did Iraq or Pakistan or Yemen, or any of those other countries. We are an invading force, the United States, and they are outside of the norms of international law. They are required to if they are going to invade and occupy - such as in Afghanistan, Iraq and Yemen, for example - they are required to keep safe the civilian people and not steal natural resources and as we know this what the US has been doing for the last fifteen years at least, if not more. And it is up to the world community to stand up and say it is not going to take it anymore. Because any country that sits idly by, let’s take Jordan, for example, thinks that the US might not invade their country some day or any other country – Egypt, or anywhere else in the world. They are sadly mistaken; this is an imperial power and it is going to use its might wherever it decides to use it. RT: America has been guilty of collateral damage in the past. Why does it keep happening? TB: You can’t call it ‘collateral damage’ when you have been doing it for 17 years. It is no longer collateral damage; you are an invading and occupying force, and you are required under international law to take care of the civilian population. We all know that the US has portrayed itself as having the most incredible drone surveillance program in the world. Yet it seems unable to detect when children and women and civilians are in an area where it wants to bomb. The US is always very quick to kind of throw the blame, or throw other countries under the bus when it comes to collateral damage, when civilians are involved, but when it comes to their own airstrikes and their own intelligence then no one is allowed to hold them accountable for anything…There is never transparency and never accountability when it comes to US military intervention, whether it is in Afghanistan or other places in the world. RT: Moving to Syria and Iraq, the US Central Command confirms that almost 200 civilians were killed in its anti-terrorist campaign in those countries. Do you think that figure reflects the truth? TB: It is totally laughable. There are independent organizations that have said that this is incorrect. We all know that for the last 17 years the US has been killing indiscriminately around the world.